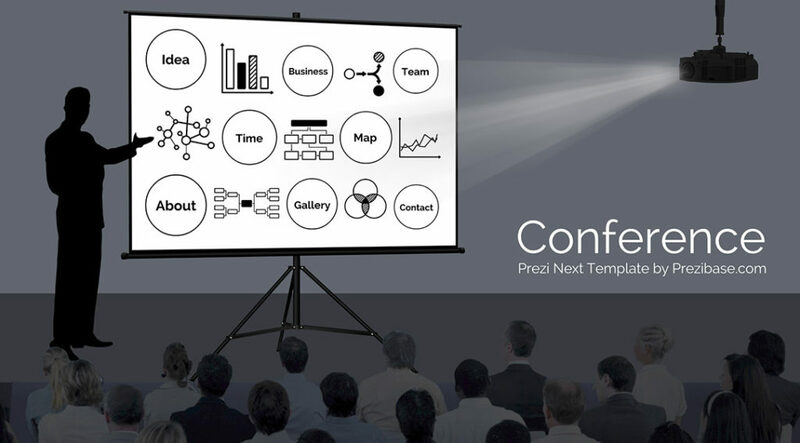 Prezi next presentation template with a conference or public speaking concept. A silhouette of a man presenting content on a projector screen, on a stage in front of the audience. All separated design elements: customize the layout by deleting elements and adding your own content. A great template for a making a product or service pitch and presenting your company or idea. Add anything t the projector screen and display your content in a creative way. This entry was posted in Best Prezi presentation templates and tagged agenda, business presentation, business slides, conference, keynote, keynote speech, man presenting, meeting, prezi next template, prezi next templates, projector, projector screen, public presentation, public speaking, slideshow.